If your have a frozen pipes DON’T PANIC, turn off the water supply. To turn off the water supply you will need to turn off the main stop tap – it should be found in the cupboard under the kitchen sink or where the service pipe enters the property. Drain the cold water system by turning on all your cold taps, keep an eye on your ceilings, if water has been leaking for some time there may be some damaged plaster waiting to fall. Next you will need to turn off the water heating system. Once the water heating has shut down turn on the hot taps to help drain the system. 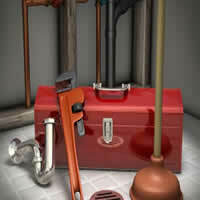 One simple phone call and we will dispatch a qualified Plumber to you without delay. If the water in your pipes has frozen, it’s important to try and defrost this as quickly as possible. The expansion of the water could cause the pipe to burst, leading to thawed water leaking from the break. This simple advice should help you get things fixed quickly. Turn off the main stop tap. If a pipe appears to be frozen, protect everything around it to avoid damage if it bursts. Turn off the main stop tap. You should find this under the kitchen sink or where the service pipe enters your home. Then drain the system by turning on all your cold taps and flushing your toilets. Turn off water heating systems. Switch off the central heating, immersion heater and any other water heating systems. If the central heating uses solid fuel, let this die out. Once water heating has shut down, turn on the hot taps to help drain the system. If water leaks near your electrics or electrical appliances, switch off the mains immediately. If the mains switch is wet, don’t touch it or you could risk electrocution! Call a qualified electrician immediately. If water has been leaking through for some time and the ceilings are bulging, rooms may not be safe to enter. If you notice the leak quickly you can catch dripping water in buckets. If the ceiling starts to bulge, punch a small hole in it with a screwdriver to let the water drain. If the leak is in a screw fitting, see if you can tighten it. If the pipe is split or pierced with a nail then it needs to be repaired. A burst pipe can wreak havoc on your home and its contents. Avoid the damage and hassle caused by burst or frozen pipes by following some simple winter care tips. Insulate your loft and the sides of your water tanks. To prevent your pipes bursting, wrap them in lagging (a foam material that insulates and reinforces them). trap door and sink cupboards on cold days to let heat in. In very cold weather you’ll need to leave your heating on low (or set to come on a couple of times a day), especially if you’re going away. Make sure you know where your stopcock is. Check regularly that you can turn it off easily in an emergency. It’s handy to label it so you remember where it is in a panic. If you’re away for a while, ask a friend or relative to check your home regularly to make sure that your pipes haven’t burst or frozen. Re-washer dripping taps: If they freeze, they’ll block the pipe. We are members of the Norfolk Trusted Trader scheme since 2011 and we are extremely proud of this. You can trust in TSM Plumbers Norwich to put right any plumbing problems that you may have, including; Central Heating Problems, Toilet Troubles, Blocked Drains and Pipes, Frozen Pipes and more. No job is too big or small for TSM Plumbers Norwich.